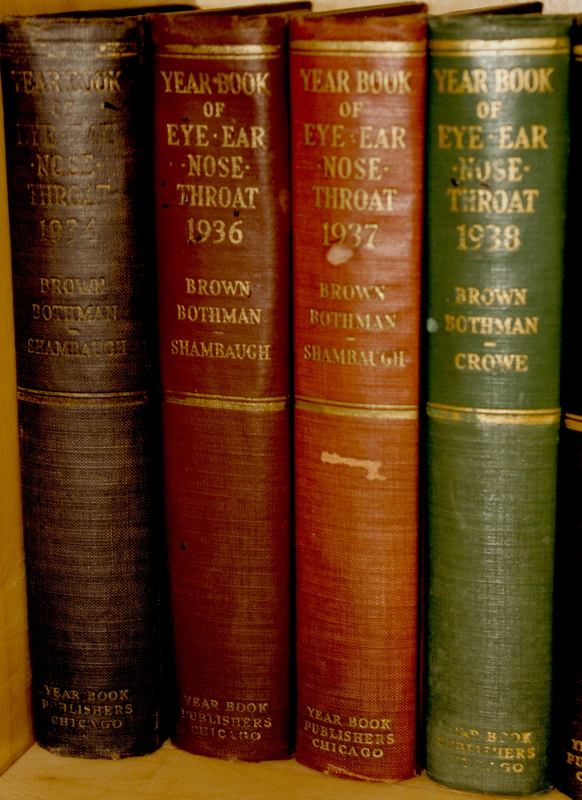 The Department of Otolaryngology-Head and Neck Surgery at the University of Virginia—a long and rich history. Thomas Jefferson, principal draftsman of the declaration of independence, authorized the School of Anatomy and Medicine as one of the original eight schools that constituted the University of Virginia (UVA) on March 29, 1819. The school grew steadily with the earliest ophthalmology and otolaryngology education beginning in the 1890s which was closely followed by the establishment of the Department of Ophthalmology and Otolaryngology in 1905. As the department grew in sophistication and developed expertise in complex head and neck surgery, the independent Department of Otolaryngology- Head and Neck S urgery was established in 1947. This innovative move at UVA predated the division of the American Academy of Ophthalmology and Otolaryngology, which did not separate into two different medical societies until 1979. In 1951, shortly after the establishment of an independent department, the renowned Glassell Slaughter Fitz-Hugh was named Chairman and remained in the position for 25 years and made great strides in expanding the department’s clinical, educational, and research activities. A testament to UVA otolaryngology education, he received his M.D. from the university in 1933 and completed his EENT residency at UVA in 1937. He was a founding member of the American Society of Head and Neck Surgery and served as President of the Triological Society and the American Laryngological Association. Although best known for his contributions to the subspecialty of head and neck surgery, he could perform any type of surgery in the field, including mastoidectomy with a curette. The inaugural Fitz-Hugh Symposium was organized in 1977 by Dr. Robert Cantrell, Dr. Fitz-Hugh’s successor as Chairman of Otolaryngology – Head and Neck Surgery at UVA. The inaugural Fitz-Hugh Symposium, named in honor of Dr. G. Slaughter Fitz-Hugh for his superlative contributions to the field, was organized in 1977 by Dr. Robert Cantrell, Dr. Fitz-Hugh’s successor as Chairman. Dr. Cantrell remained in this Chairman for 20 years, an unusually long tenure, which is a testament to his success. Dr. Paul Levine followed as Chairman of the department for another 20 years and carried on the tradition of excellence within the department. As a result of this continuity, the Fitz-Hugh Symposium remains the longest continuously running annual Otolaryngology Symposium in the United States! Read more about the progress of the department leading to Dr. Stephen Park being internally chosen to become only the 5th Chairman of the Department of Otolaryngology-Head and Neck Surgery during its over 70-year history as an independent department at the University of Virginia.